With the recent murders of journalists from the magazine Charlie Hebdo in Paris, it's hard to imagine there is a reason to feel good this Friday, but there is. There always is. As explained on their website the organization "was founded in 1981 by a group of U.S. correspondents who realized they could not ignore the plight of colleagues whose reporting put them in peril on a daily basis. The idea that journalists around the world should come together to defend the rights of colleagues working in repressive and dangerous environments led to CPJ's first advocacy campagin in 1982." The group conducts research worldwide, documents cases in which journalists have been censored, harassed, threatened, abducted, jailed or killed for their work and provides high-level advocacy working with news organizations and governments to release imprisoned journalists and provide more freedom of the press. In 2014, CPJ secured the early release of 41 journalists. A full report on the impact of their work in 2014 can be found here. In addition to their reporting and advocacy work, CPJ provides "legal, medical, and relocation assistance to journalists at risk, along with support for families of slain and imprisoned journalists." Their website also has an extensive Journalist Security Guide with advice on how to prepare for armed conflict, natural disasters and health epidemics and more. We need journalists to share stories from around the world that we don't have access to as individuals and we need an organization like CPJ to advocate on behalf of these journalists. To support press freedom you can make a donation, like the CPJ Facebook page or follow them on Twitter @pressfreedom. 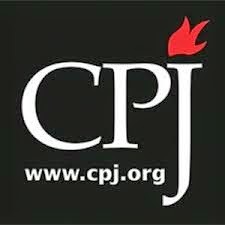 Those of you with 24 minutes can watch this informative, short documentary film made for the CPJ 30th anniversary.